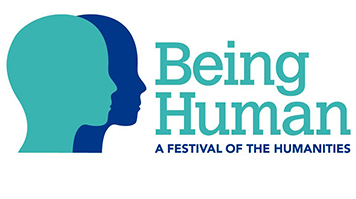 The vital issue of whether we have a duty to assist others in need was the topic of discussion at the Being Human: Helping Others Conference held at London South Bank University (LSBU). The conference was part of the national Being Human Festival of the Humanities. At present, English Law contains duties not to harm others, but does not contain a general obligation to assist. This is what led LSBU academics to delve deeper into the issue and discuss what is morally correct, and what type of assistance we should be obliged to provide. Giving perspectives from their respective disciplines, academics representing LSBU included Professor Max Weaver on Law, Dr Adrian Budd on the Welfare State, Associate Professor Andy Unger on Human Rights and Development, Professor Gaim Kibreab on Refugee Studies, and Professor Craig Barker, Dean of the School of Law and Social Sciences on the UN Security Council Responsibility to Protect doctrine. Keynote speeches were given by Graham Fisher, Chief Executive of Tonybee Hall on ‘Charity: Our Duty to Assist Others’ and Dr Margaret Clegg, University College, London, on ‘An Evolutionary Perspective on Human Co-operation and Competition’. An audience of students and members of the public discussed issues such as whether the UK should enact a law imposing a duty to assist and rescue our fellow citizens and public funding of the welfare state and economic aid to developing countries. Professor Gaim Kibreab concluded the conference by leading a panel discussion of the current refugee crisis, exploring what can and should be done to assist refugees and economic migrants. Associate Professor Andy Unger said: “What emerged from the conference is a realisation that even if we do not have individual legal duties to assist others, we have taken on collective legal responsibilities. The existence of the Welfare State has become accepted, even if we continue to debate how much tax we should pay and what support the Welfare State should offer and to whom. "The creation of International Human Rights imposes obligations on our country, which we have accepted, to move beyond refraining from harming others and towards positively assisting them – to protect people from conflict and to raise them out of poverty. These goals are encapsulated in the UN Sustainable Development Goals 2015”.